The world poker tour has announced that it has acquires a gaming company named RealDeck for a price of $15 Million on Friday. Realdeck is an online poker developer and an internet marketing company since 2006. The company has many patents to its name and is a leader of the gaming industry. There is no doubt that World poker tour will have positive impact after buying this sole company. 1:- One of the patents that the company holds is they provide poker players to play online poker at their own computers without leaving their homes or offices. They can play real card games online with the help of internet enabled computers. This was the milestone patent in the history of online poker gaming, which the company RealDeck Holds. 2:- The second patent that RealDeck Holds is that they changed the perception of poker players of game changing technology, since the beginning of online poker in January 1, 1998. RealDeck media also offers Peer to Peer audio and video data transfers so that a player can play the game, see the game and can hear each and everything. This was the news came in June, 2015 that Chinese gaming company has acquired one of the top gaming brands in the world i.e. the world poker tour and the cost of the buying was $35 Million. The wpt or world poker tour is a big brand and name in gaming industry. 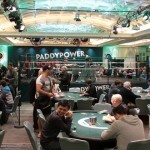 It operates in many countries and holds some of the largest poker sponshership tournament in the world. This is the second largest gaming company after world series of poker( WSOP).